The copper tabs left and right cover the fitting screws for wood or masonry. All fittings supplied including wall plugs. 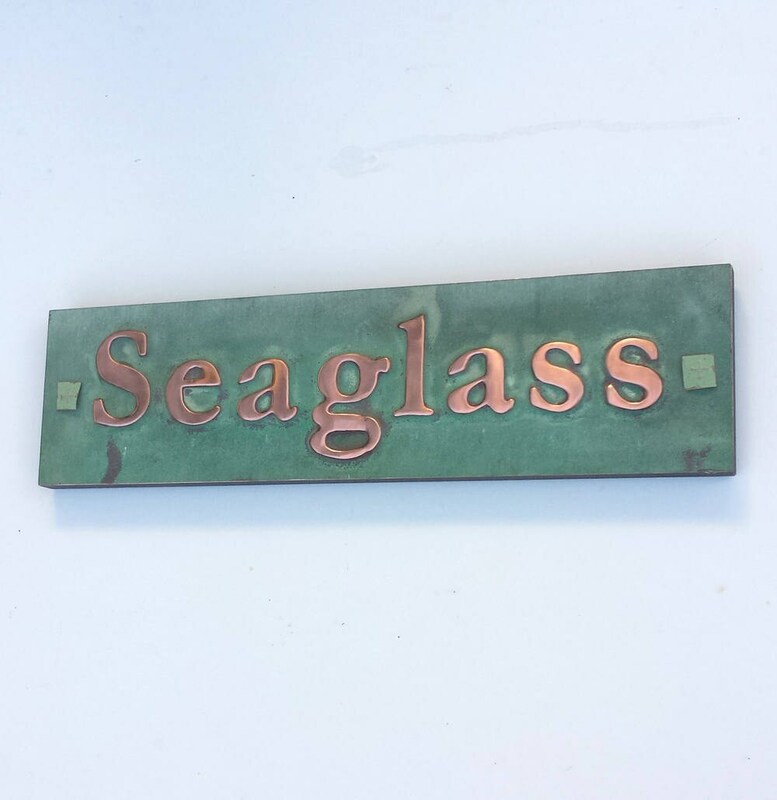 The polished copper letters are laquered, the patinated surround is left 'as is' and will improve further with age and humidity. Polished copper reflects car and street lighting so illumination may not be necessary - saves electricity. Please keep one line length to 15 letters. I have been making these for over 9 years now with many satisfied clients worldwide. If you have an idea or design that you need to develop. I have a fully equipped workshop - wood and metal and over 40 years experience as a creative.